It’s been a hot minute since we’ve done any Star Wars Black Series Galleries but today we are getting back in the mix with a look at the first Deluxe figure – General Grievous. The Deluxe line are a size above normal, requiring a different price point and allowing some new larger characters to be done (I’m looking at you Zeb). This is also a “Fan Channel” exclusive, meaning he won’t be popping up in Target or Wal-Mart for now. 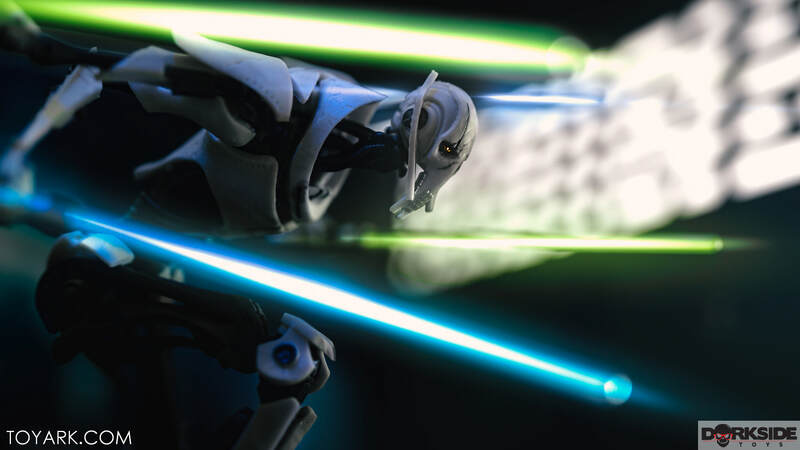 D1 Grievous comes with 4 lightsabers, 2 blue and 2 green, a cape with pouches for the saber hilts, and » Continue Reading. The post Star Wars Black Series Deluxe General Grievous Gallery appeared first on The Toyark – News. Exclusive Marvel Select Figures Restock & Clearance Sale!